Millie thought it would be fun to do some posts on some of our favorites at Mini Bazaar. If you’ve got a favorite, feel free to send it to me through our website. I always wish I could see your walls and rooms with the merchandise that you buy from Mini Bazaar. This week, I’d have to say that my favorite thing is this little jingle bell/pine garland. Sylvia says it is like adding false eyelashes to any display. 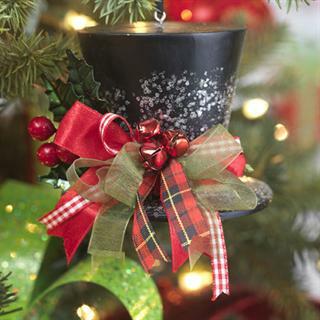 The strand of bells just makes this ornament or any other extra special. It is so fun to work with! We have one tree that is loaded with it, and it’s great. I am off to get started on my tree… Just love it! As always I am amazed that it’s November all ready…..you know, elections and all. Don’t think I’m going to be an all night news watcher tonight or anything, but I did go vote. And so did all my kids. Civic duty done. But, you really should see all the boxes we have moved into the store. Sylvia is back in town and is just like a magican, finding space to insert the merchandise. We have until the 10th to get it ready, and it’s lookin’ good!